Description: Also known as Spiny Licuala palm.The slender trunk of this clumping palm may grow more than 4m yet are usually less than 10cm thick. 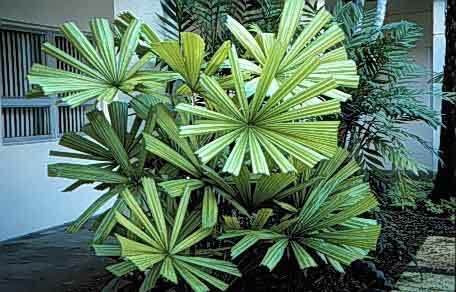 Resembles the Rhapis but has larger leaf blades and shiny, square ended segments. Can tolerate some cold periods but prefers warm moist conditions.